Travelling is a dream thing. Planning + places + people + luggage + friends. In a way, the route defines the experience. When travelling, if the trip goes cool, three incredible things happen: 1) we come back being another person; 2) we forget and leave things behind; and 3) we plan our next trip to visit this place again. Flavours are something like that. They made us plan, dream and think unimaginable ways of reaching the senses, to taste. 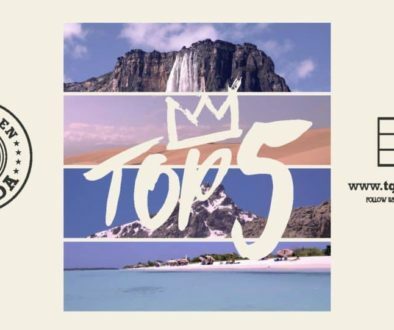 In TQP, the Caribbean is a destination of flavours. The thread of the imagination is thus our route itself. Creativity is the strategy to make a flavour trip unforgettable. In TQP combinations of ingredients, such as landscapes, delight you. We know where to go. Recreating Venezuelan tastes in our dishes is an everyday adventure. 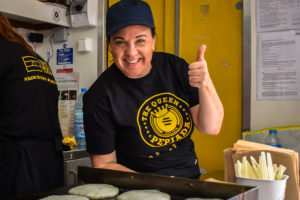 For us, a Food Truck seemed to be the best way to give mobility to the plan to bring Venezuelan flavours to Cardiff. In a bite you get to know part of Venezuela. 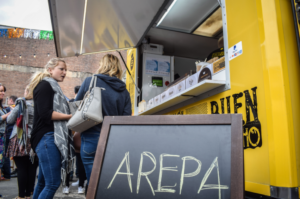 An arepa gathers things of the identity of the Venezuelan that now are possible to discover close to you. Food fairs are thus transformed into different possibilities of knowing other cultures, as in a trip. In TQP we preserve that spirit in each dish presentation. No planes are then needed since we roll flavours across to you. 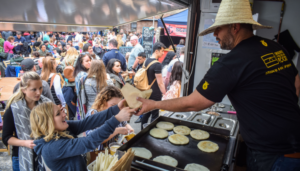 Every time we turn on the engine of our food truck we are sure that with every food fair our products will meet foodies with this travelling spirit. Getting closer at each fair to you has allowed us to grow in experience and be close to Cardiff culture as well. Everything begins and ends with an encounter: from the very choice of the suppliers of our ingredients to the planning of the next food fair to which we will take our dreams to. The TQP food truck has taken us beyond Cardiff. Every time we return, food fairs leave us wanting more kilometres. We like to bring what we are – our dishes (arepas, tostones, and sweet drinks) – to the people. 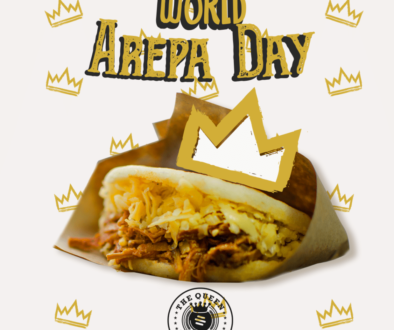 When a smile appears after a try to an arepa, we remember the attitude of the Caribbean: relax and go with the flow. There are 7,300.37 km away between Cardiff and Caracas. This is a distance that we have shortened in a bite. An arepa bite, a zip to our papelón con limón is an automatic way of being in Venezuela. Fortunately planning your next time only takes you a few minutes.